← April 19, 1866: Popular support for veto? April 26, 1866: Welsh Indians in Arizona? The Cape Girardeau Weekly Argus of April 26, 1866 printed this fanciful item on the front page. I can’t find any mention of “Moke” Indians anywhere else. A mis-hearing of Maricopa? In any case, as is typical for racist nineteenth century accounts of notable American Indian ruins, the author is careful to make it clear that the “savages” currently encountered can’t be related to the people who built these amazing works. And if you can claim that they’re actually Welsh and thus white, even better. The descendants of Madoc theory has a long history, usually associated with the Mandan much further north. “Colonel Porter”, to whom the current item attributes the theory, is also pretty mysterious, and since the idea had been kicking around since 1608, it wasn’t original to him anyway. Arizona was the theater of an ancient civilization which has left monuments, not history. Well-constructed houses are existing there untenanted, and evidences of extensive mining and agriculture. it was evidently not Aytec, but Tolecan or ante-Tolecan civilization. Among the structures erected by its former people is a house larger than the city hall of New York and five stories high. Certainly that surpasses Mr. Benedict Arnold’s windmill at Newport in the point of marvel. The Apaches, a specimen of Indians analogous to the Malays of India, now overrun the territory and cannot be civilized. The Mokes are a more interesting people. They live upon the mountains and cultivate the land in the valleys, for which they pay a tribute of l-10th to the Apaches. They now number about 1,200, are of fair complexion and somewhat European features. Some welsh colonists of Utah visited them and found a remarkable similarity of language, the same intricate system of consonantal words, and other dialetic belonging to the Cymraeg. 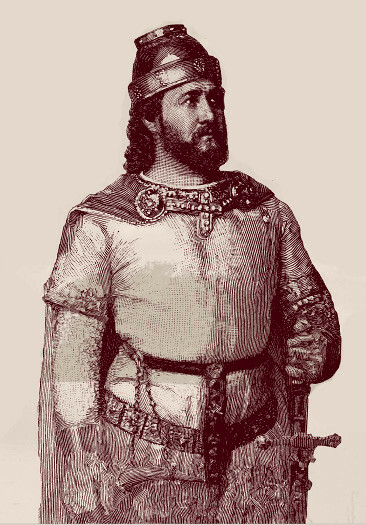 Colonel Porter, from these facts, wove out the theory that Prince Madoc, who left North Wales in the reign of Henry II of England, was the founder of an American colony, of which the Mokes are the descendants. This entry was posted in American Indians, Arizona. Bookmark the permalink. One Response to April 26, 1866: Welsh Indians in Arizona? Moki = Hopi —-> Puebloan peoples living in villages constructed of stones, adobe, or other local materials. Many of these villages were/are on top of mesa (mountains).